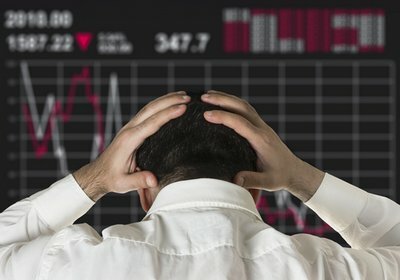 Instead of the healthy correction that many market watchers have been expecting, several hard-to-see cracks in the market infrastructure could instead give us a full-blown stock market crash in 2014. A 317-point drop in the Dow Jones Industrial Average July 31 – as well as a 140-point drop Tuesday and 75-point fall yesterday – seemed to confirm that we're on the verge of, if not in the middle of, a market correction. Money Morning Capital Wave Strategist Shah Gilani is not surprised, as he has been predicting a 20% stock market correction for weeks. To Gilani, the signs were clear to see. "Everybody sees the divergence between the market and the economy – the market was trading near its highs, while the economy hasn't been doing nearly as well. That needs to correct at some point," he said. Among the reasons the markets have been out of synch with the economy are the Federal Reserve-engineered low interest rates that have kept borrowing incredibly cheap for such activities as paying out dividends and buying back stock. The stock buybacks result in fewer shares, and have given the illusion that companies are delivering more earnings per share. And, as artificial as it may be, higher EPS numbers have played a big role in driving stock prices higher, Gilani said. And as the Fed gradually has let the air out of the balloon of its bond-buying program (officially known as quantitative easing, or QE) – another factor that has propped up the markets – the psychology of an increasingly jittery market has started to shift. "Any kind of existential threat to the market could trigger a large round of profit-taking," Gilani warned. He said the Fed lacks the tools to act as market savior now that it has committed to ending QE.